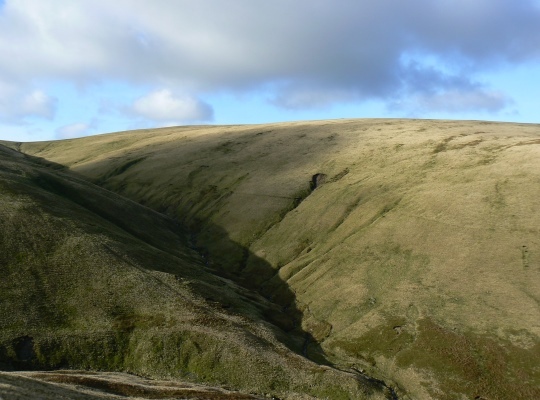 The Calf is the highest of seven recognised 2000ft summits in the Howgill Fells and one of only two Marilyns. It is a tremendous viewpoint. 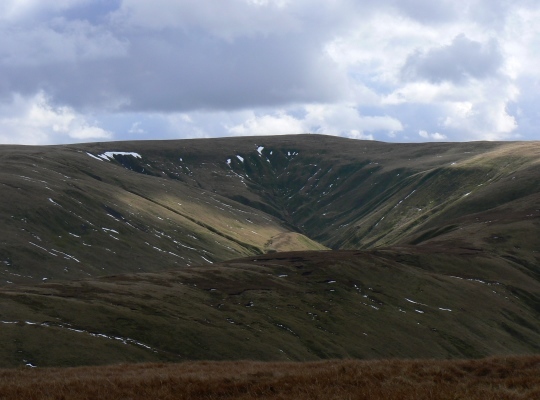 The Calf, along with Calders, Bram Rigg Top and Great Dummacks forms the central hub of the Howgills that sends out valleys in all directions, most numerously to the north. 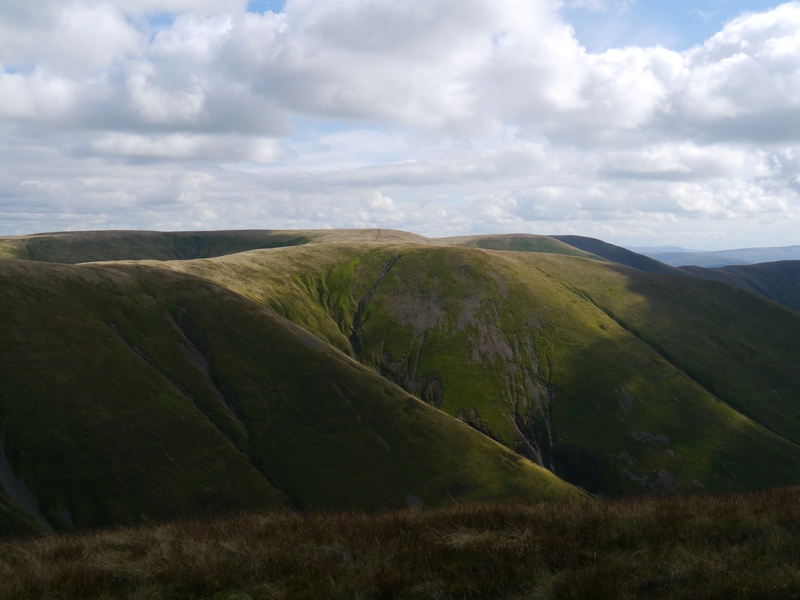 Despite the fact that it is the highest point in the Howgills it is also perhaps one of the least clearly defined in terms of shape. As The Calf almost sits on the shoulders of other heights it is often obscured by the above named summits. It is perhaps best appreciated from the northern Howgill summits of Fell Head and Simon’s Seat. 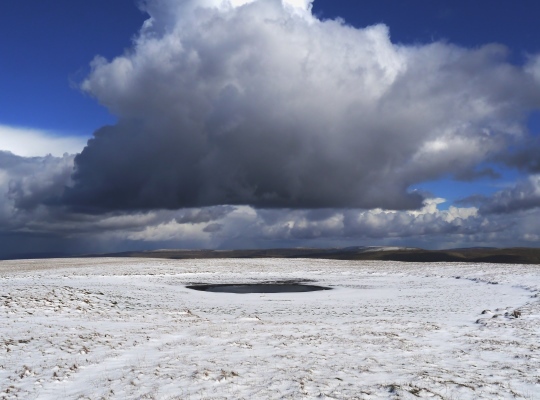 The summit is a grassy plateau with only two real features of note, the first is a small tarn, one of the few in the Howgills (another small tarn can be found a third of a mile to the north-west). The other is the white painted trig point which, when it catches the light, can stand out like a beacon when seen from some of the neighbouring summits. 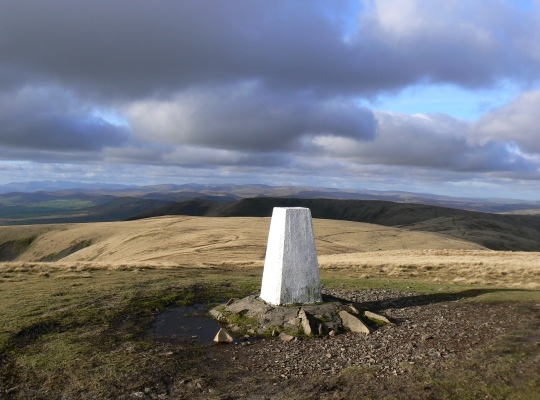 As the Howgills are conveniently situated between the Yorkshire Dales and the Lake District most of the summits provide good views. The view from The Calf is no exception and in particular the view of the Lake District skyline is something special. 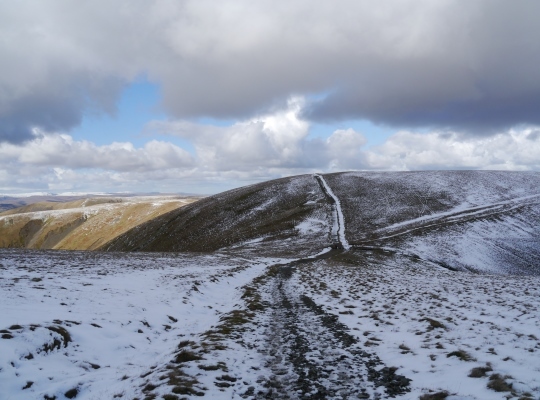 The Calf is most commonly climbed from Sedbergh to the south along one of the few genuine paths in the Howgills. Strangely, though I’ve been on the Calf four times I’ve never used that route. I’ve arrived from the north over Bush Howe twice, climbed up via Cautley Spout and Great Dummacks once and from the western side via Bram Rigg Beck and Calders.